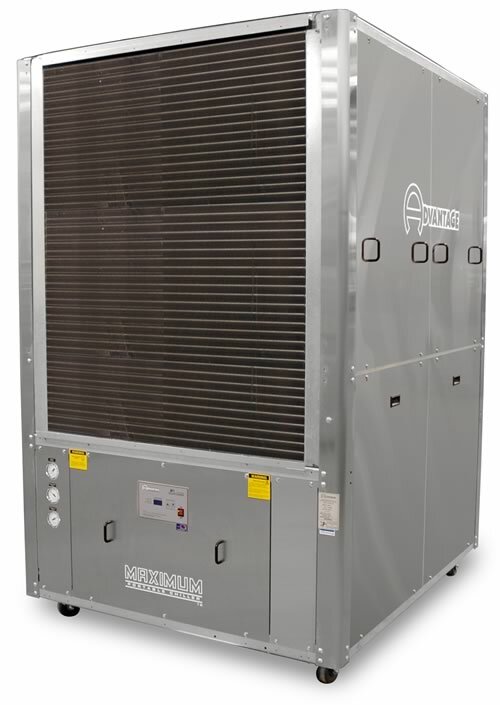 In August of 2002 Advantage introduced MK-15A and MK-20A water chillers with a propeller style fans for use in the air-cooled condenser. This was in addition to the (previous) standard unit that uses a centrifugal blower style air-cooled condenser. The chart below compares the propeller style fan unit with the centrifugal blower style unit. Both propeller and centrifugal blower style units are available. 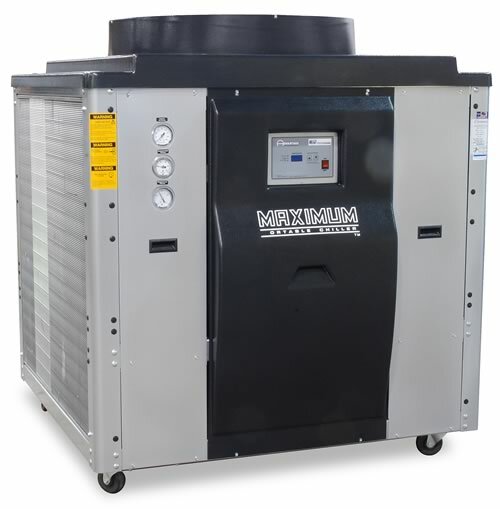 For more information about fan and blower style air-cooled portable water chillers call the Advantage Sales Department at 317-887-0729. Would you like to Download FYI #269 to your browser?